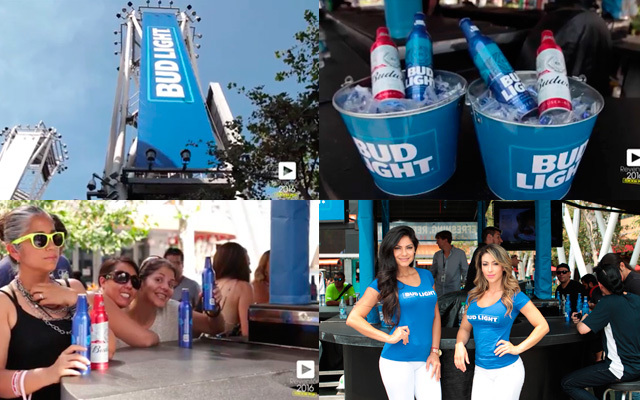 The event’s title and longest-standing sponsor, Anheuser-Busch, once again executed a full 360 integrated month-long program that included every consumer touchpoint for the event such as: presenting rights, on-air promos, email newsletters, social media and mobile components. Aside from the marketing components, Anheuser-Busch had tremendous on-site presence with both consumers and distributors. On Saturday (7/23), they activated a “build a bar” in the LA Live Plaza area. The mobile bar was complete with TV screens, cocktail tables and beer products for all concert goers to enjoy. Inside the venue, Anheuser-Busch was branded on stage and their commercials aired during set transitions. In addition, they hosted distributors and special guests at the Microsoft Theater VIP Lounge inside the venue. It was an ultimate sponsorship that connected with consumers at all engagement touchpoints. Please visit superestrellareventon.com for pictures and video highlights of this year’s stellar event. Next PostFrom One Crazy Match to One Crazy Night!